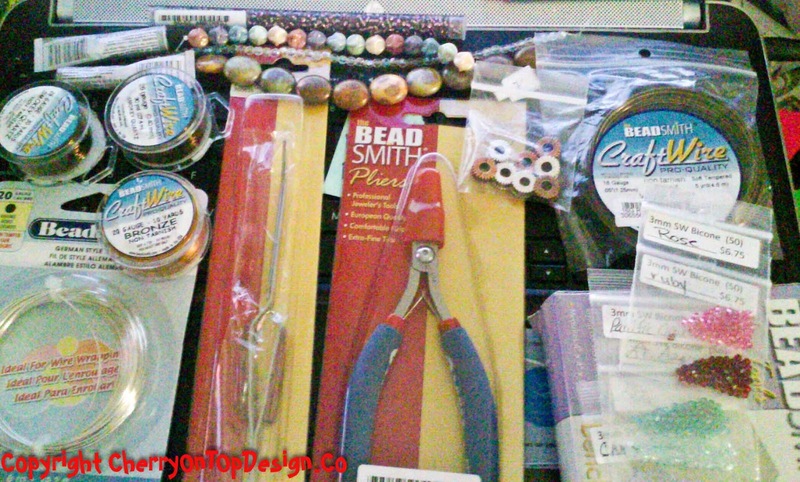 A few weeks ago, I learned that a local bead shop was closing. I'd never been to this bead shop, but figured it was high time I go. Sadly, it was an INCREDIBLE shop! One of the best I've seen in the midwest! They had everything from Semi-Precious stones, to seed beads, to quality tools, to Swarovskis, books, magazines, czech beads - EVERY.THING. you can imagine - they carried. While I was shopping, I picked up some wire (ok - alot of wire) and some new tools - including a hammer, bench block, liver of sulfer (which I haven't used yet), some new pliers....all kinds of goodies. 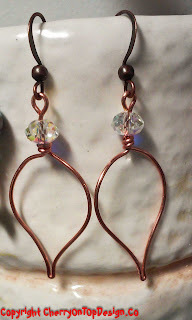 My first project using these supplies - is this week's pair of earrings. Somewhere I came up the idear to wrap wire around seed bead viles - what a cool idea! So, these earrings came from that experimenting. They're made of copper and have Swarovski Crystal AB rondelle's on top. Sweet. Simple. Beautiful.